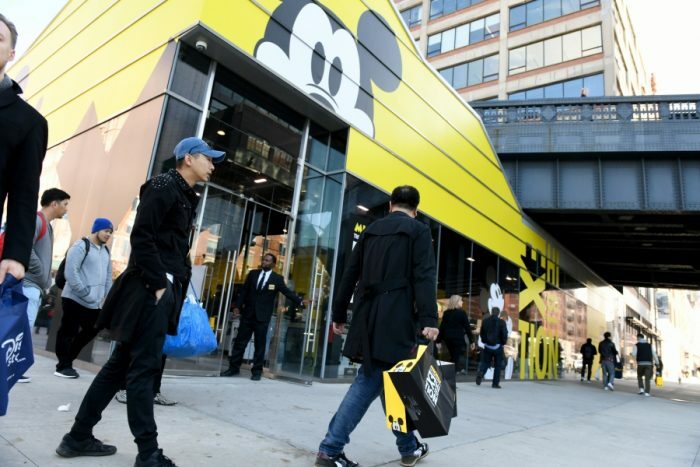 Today, November 8, Disney officially opened “Mickey: The True Original Exhibition” in New York City’s Meatpacking District, welcoming guests from around the globe to the 16,000-square-foot immersive pop-up celebrating the 90th anniversary of Mickey Mouse. The exhibit runs through February 10, 2019. 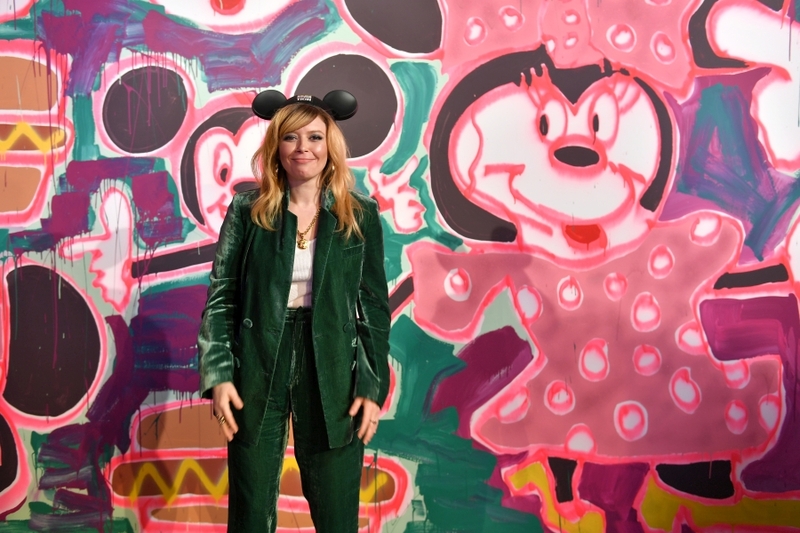 Honoring Mickey’s 90-year impact on popular culture and the arts in all forms, the exhibition showcases more than 20 contemporary artists. There’s also a historic Mickey-inspired work from artist Keith Haring. The pieces are featured in more than a dozen themed rooms, each designed to highlight a chapter of Mickey Mouse’s story. 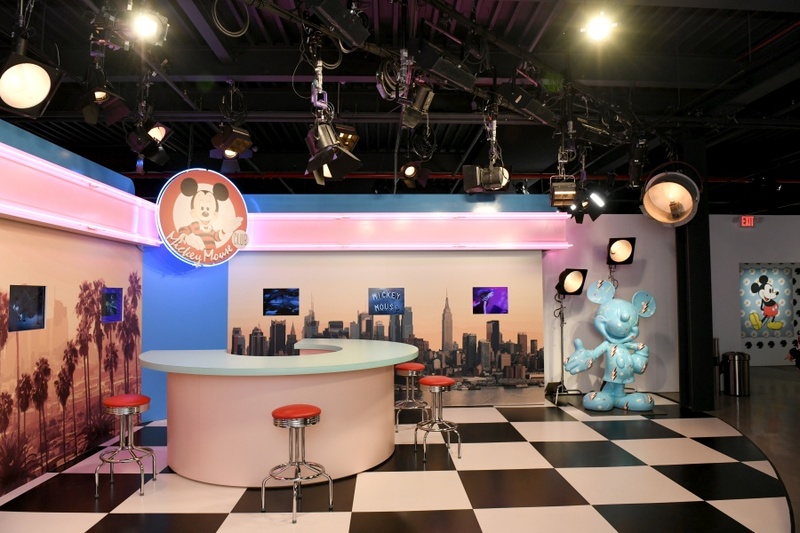 Along the way, guests will discover larger-than-life photo moments, including a replica of Steamboat Willie’s vessel, black-and-white immersive scenes from classic cartoon shorts, a reinterpretation of The Sorcerer’s Apprentice from Walt Disney’s Fantasia, and a recreation of the 1990’s All New Mickey Mouse Club set. Hello Mickey! Introduces the many facets of Mickey including his playful personality. Featured artists: Katherine Bernhardt, Ariana Papademetropoulos, and Michael Bosanko. Iconic Design Shows Mickey, an instantly recognizable character and form, in a whole new way. Featured artist: Daniel Arsham. It’s Black & White An entirely black-and-white world bringing Mickey’s comic strips and cartoon shorts to life. Featured artist: Brian Roettinger. Burst into Color A vivid, vibrant color room in honor of Mickey’s acclaimed technicolor debut, The Band Concert. Featured artists: London Kaye, Michael John Kelly, Amanda Ross-Ho and Disney artists Stacey Aoyama and John Quinn. Sorcerer’s Way Transports guests to the magical world of Walt Disney’s masterpiece and Mickey’s first feature film: Fantasia. Featured artist: Oliver Clegg. Mickey Mouse Club Celebrates the 60+ year legacy of the Mickey Mouse Club television series. Featured artist: Brian Bress. Original Muse Showcases how Mickey has inspired artists around the world to create, reinterpret, and reimagine. Featured artists: Keith Haring, Tseng Kwong Chi, James Jean, Keiichi Tanaami, Tanya Aguiniga, PEACEMINUSONE, Javier Sanchez Medina, Tetsuya Nomura, and Oliver Payne. The Collection Illustrates how tactile, functional works of art bring Mickey into fans’ everyday lives. Featured artists: Darren Romanelli aka DRx and Shinique Smith. 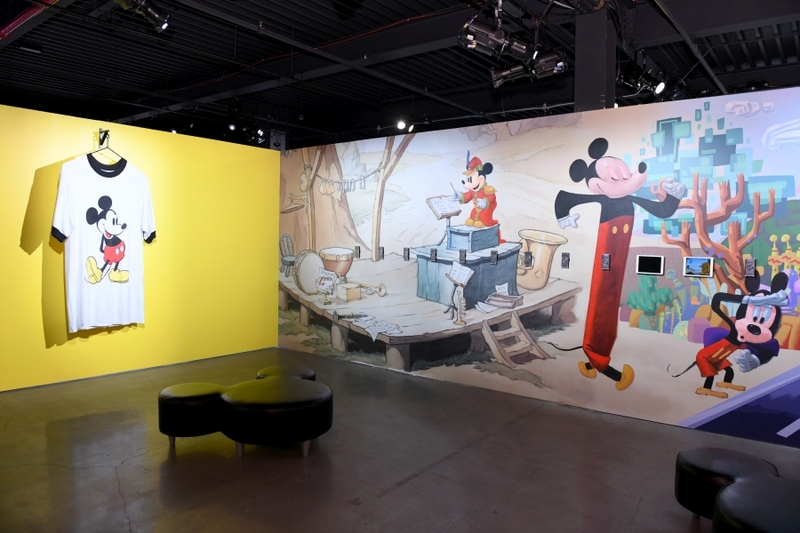 Running now through February 10, 2019, “Mickey: The True Original Exhibition” will be open Tuesday-Sunday from 10 a.m. to 8 p.m. at 60 10th Avenue, New York. Tickets are available for $38 per person at Disney.com/MickeyTrueOriginal. Selected time slots already selling out; guests are encouraged to book ahead. The exhibition will not be open on Thanksgiving, Christmas or New Year’s. Will you be stopping by the Mickey: The True Original Exhibition in New York City? Let us know below! And remember if you can’t get there, you can purchase some commemorative merchandise online at shopDisney!